THE STORY - Jeff Bauman loses both of his legs when two bombs explode during the Boston Marathon on April 15, 2013. After regaining consciousness in the hospital, Jeff is able to help law enforcement identify one of the suspects, but his own battle is just beginning. With unwavering support from his family and girlfriend, Bauman embarks on a long and heroic journey to physical and emotional rehabilitation. THE GOOD - The performances by Gyllenhaal and Maslany are riveting, emotional and authentic. THE BAD - The film's cliched screenplay, telling a story we are overly familiar with, does little to help the film stand out. If Jake Gyllenhaal does not get an Oscar nomination for his physical and emotional performance in “Stronger” then you can bet that news reports will start coming out that he’s fighting a bear and eating raw bison liver for his next movie. After over a decade since his first nomination for “Brokeback Mountain” and countless mesmerizing performances in between including “Nightcrawler,” “Nocturnal Animals” and “Prisoners,” he might have found the right vehicle to get him that second nomination. That’s because “Stronger” is typical Oscar bait and while that may get Gyllenhaal that second nomination, that isn’t necessarily a good thing. “Stronger,” tells the true story of Jeffrey Bauman (Jake Gyllenhaal) who after breaking up with his girlfriend Erin Hurley (Tatiana Maslany), decides he’s going to attend her marathon run in Boston to help support her and hopefully win her back. He happens to attend on the day of the Boston Marathon Bombing of 2013 and is at the finish line when the bombs go off. The blast results in Jeff losing both of his legs and nearly his life. Faced with a difficult rehab, the pressures of trying to live up to be a hero in the eyes of his family and the nation, all the while dealing with possible PTSD and the pressures of a committed and serious relationship with Erin, Jeff needs to be stronger if he’s going to make it through this experience and out the other side ok.
“Stronger” checks off every box one needs to in order to be considered an “Oscar movie.” Based on a true story? Check. Able bodied actor suffers a horrible tragedy leaving him with a disability? Check. Said actor uses his love for a woman to overcome his disability because the alternative is to just give up and die? Check. A movie that takes place in Boston with actors behaving like real people to make the movie feel more realistic even though “Boston in film” is becoming a cliche? Ok, maybe I embellished on that last one a little too much. The fact remains that “Stronger” is a story we have seen time and time again. I’m not knocking the real people who were involved in this terrible event. What I am knocking is that Hollywood feels that this is the kind of film they always need to make and they always happen to release around the end of the year for one reason and one reason only: awards. Now, do I think Gyllenhaal deserves to get a nomination for his performance in “Stronger?” Absolutely. 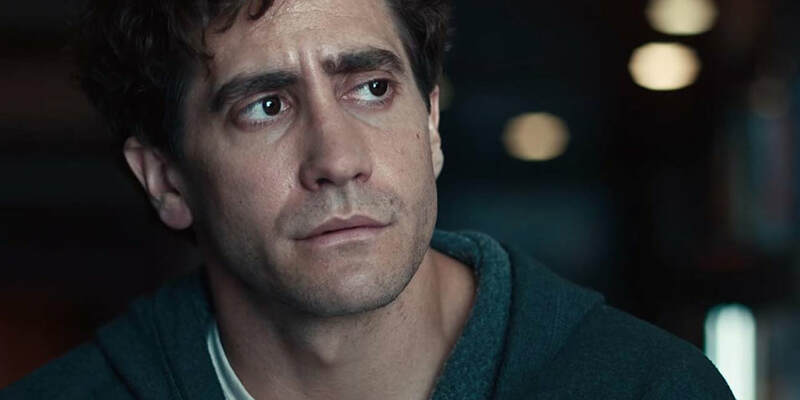 He does terrific work here in terms of his physicality, the depths of his emotions, and all of the little details in the eyes and face that Gyllenhaal has become known for. Because the film is about him, we are naturally going to talk about him and how great he is. But we should not discount Tatiana Mislaney who does not have a disability to help her garner sympathy for her performance. She has to rely on good writing to allow for her character to have moments to stand out. Those moments are few and far in between. While David Gordon Green does a solid job in allowing the actors to deliver their performances, the film is still hurt overall by a cliche story with cliche characters we have seen time and time again. For an example of this, pay attention to the scene in the film where Jeff has his bandages removed by doctors in the hospital for the first time. Green focuses the actors sharply in the foreground while Jeff’s legs are blurred in the background. Jeff and Erin stare at each other while we hear the doctors talking about the procedure. It helps build tension while also allowing for two characters to connect on a raw and emotional level. That moment and many others make “Stronger” a movie that will no doubt move many to tears. Even with my criticisms of the film’s screenplay, I was unable to shake off the power of what Gyllenhaal and Maslany were doing. Their performances felt authentic and raw. Green knew what he had in these two performers and wisely focuses the film on them. However, with a screenplay that is following too many of the same old story beats, “Stronger” fails to drum up much interest outside of these two extraordinarily gifted actors. They are also continuously brought down by the supporting cast of characters ranging from Jeff’s friends and family, who are also walking talking cliches of the very best that Boston has to offer the filmmaking industry with their foul language, beer drinking and idiotic decisions which do nothing but leave our main characters hurt. We’ve seen it before. We’ve seen this story before. Flip the roles and put Maslany in the chair, while allowing Gyllenhaal to still be an irresponsible man-child who can’t emotionally commit to his girlfriend’s new predicament. Or don’t make this movie at all. See it for the performances or for the inspiration but don’t expect anything unique. And certainly, don’t expect Hollywood to stop giving us more of the same.